Pretty much all the other Titans that are used for fodder. I really want Mal, Karen, Gnarrk classic Duela, and Lilith to always be around. Also Bette. Last edited by WonderScott; 02-10-2019 at 08:22 AM. someone also mentioned Scare Tactics - I'd have to agree. That was a fun book. Last edited by bearman; 02-10-2019 at 07:40 PM. Element Woman- A fun and interesting character that DC should do more with. Enemy Ace- He is one of DC's more morally complex characters and he should be used way more than he is currently. For me, Kid Devil/Red Devil is one of my relatively recent new favorites, too. I wasn't reading comics when he was contemporary back in the 2000's, but I did read some now- old stuff with him in it (library trades, I think), and I enjoyed his character in them. Looked him up, and I came to love his backstory. 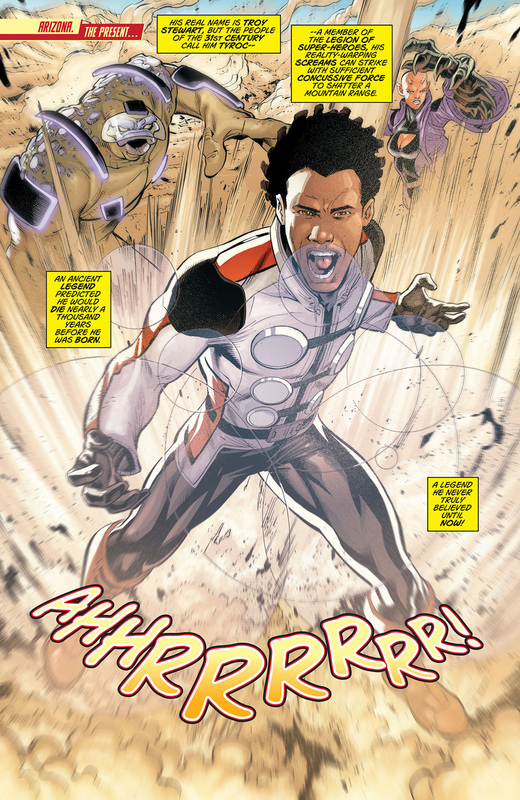 He also looked cool and had a cool power set, and plus I appreciated the proactive measures he took to gain his powers. Don't always get heroes like that, especially those not wearing some kind of armor or gadget. Usually, explicit power-seekers are treated in the vein of "ambition is evil", and are usually evil, morally gray/in the wrong, or otherwise overtly or covertly "punished" by the story for seeking out the power. His friendships with Zachary Zatara, Blue Beetle, and (I think) Static were all pretty cool. Not a fan of how he went out, getting de-powered and then offed like he did. Looked too much like the above "punishment" thing I mentioned. Supposedly he was meant to come back, re-powered, in a storyline, but, also supposedly, the New 52 "dashed" that. I have always liked Bushido from the Teen Titans even though he never got a lot of page times before being killed off. I liked that he was weapon expert with the souls of the weapons former masters sealed in them that guided Ryuku in battle. Bushido is another really cool hero I learned of in hindsight. His backstory was pretty tight, as I recall . He's also one of only a handful of Asian Heroes, and especially Japanese Heroes. (Could use more Asian/Japanese and Asian/Japanese American Heroes. I wish New Super-man and the Justice League of China was still ongoing. ) Ryuku really didn't get much page-time as a Titan, though, did he? And the way he was killed off was inglorious and ultra tacky; you could tell the writers thought nothing of him with how disrespectfully he was killed, or that he was killed at all in the first place (killing off your company's only real Japanese Hero wouldn't fly nearly so easily today as it did then). Hope they use him again soon, in earnest this time. Adam Strange - my favorite DC Comics character. The Justice Society - have they returned from whatever limbo they were stuck in? Man of Steel, Batman v. Superman, Justice League.